Our Hair Analysis System helps to identify many hair conditions that will require different treatment solutions. 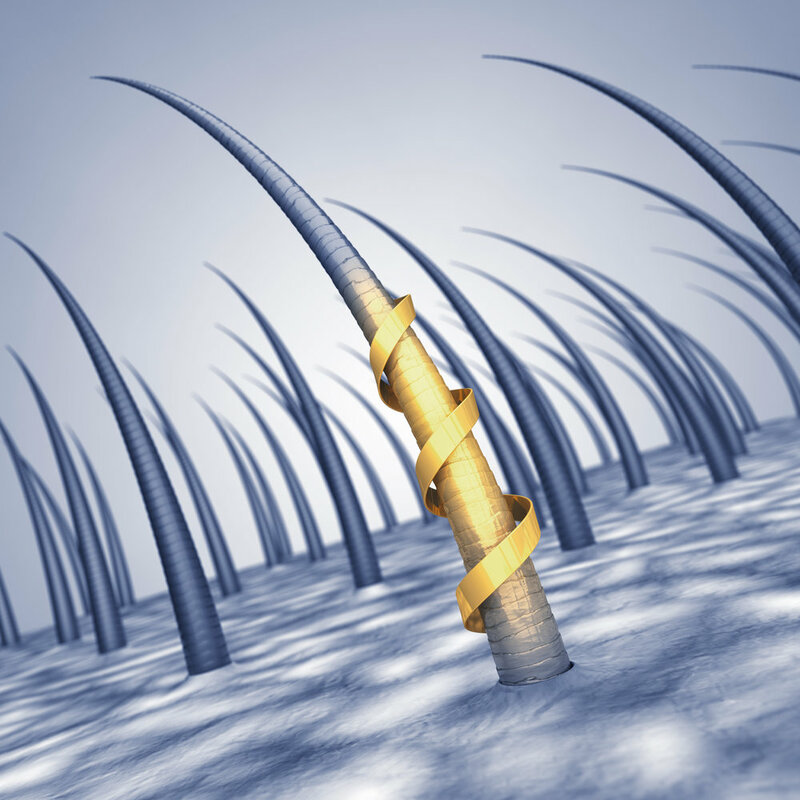 One of the most common is causes of ailments is when the hair has a lack of protein. Sometimes the body does not naturally produce enough protein. In other circumstances, it was removed from the hair by products that do not complement the individual characteristics or needs of the hair. Once this deficiency is observed, a protein treatment will be recommended, with the purpose of restoring the appropriate protein levels to that individual's hair. Additional (as part of your hair solution plan), we will recommend any changes to hair products usage. This will help to prevent future protein related issues. The right amounts of protein, according to an individual's specific needs, will provide shine and elasticity to the hair (even for those with very fine hair or who use heavy cosmetics).